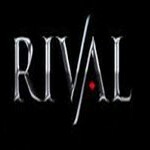 Rival Gaming, a well-known gambling software developer has revealed that they’ve left the United Kingdom Gambling Market as of July 25th. This means all casinos who have licensed this software platform will no longer be in a position to offer those games to punters. This announcement was made through an mass email which was sent out to Rival Gaming affiliates and punters, no reason was given as to why their pulling out of the market. It was also noted that all United Kingdom punters who try to access their platform through another casino without another gambling market will be blocked through their IP Address. As of right now it is presumed that the company is pulling out of the United Kingdom due to the strict licensing laws that were put into place last winter. This looks poorly upon the developer as it seems their not willing to comply with these laws, laws designed to benefit the players. Unfortunately even though Rival Gaming is known throughout the globe, their now for a large amount of the casinos who license their platform to be operating in a rogue manner within the United States of America. It is highly doubtful that Rival Gaming will return back to the United Kingdom gambling market within the future. This would go against the way their operate as a company. None the less if any reasoning as to why they left the market or if they plan on returning to the market is given in the future it won’t make a difference. This decision has caused for the company to once again seem sketchy.